Display more content than fits on one screen right into your audience's mobile device. A QR code is a two dimensional image which stores information in black and white pixels. It is quickly scanned by cellphones and presents much more data than standard barcodes. You can share text, images, videos and URLs on their cellphone displays. 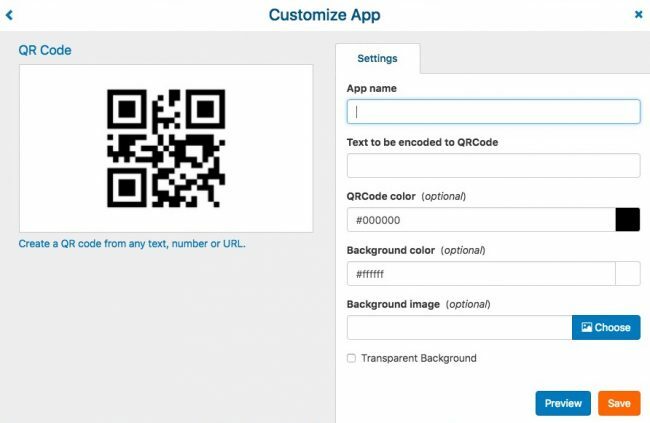 You find the QR Code App among the other Apps (How to Add Apps). Select “Text and Scrollers” from the sidebar menu of the pop-up window. App name: Just name the app anything you like to save it. It won’t appear on your campaign, only in your Onsign TV account. Text to be encoded to QRCode: Type the content you want to trigger on the cellphone. It can be either a text or a URL to a webpage, image or video. Background color: Set color around the QR code. The code itself will always be black and white. You can also opt to set a transparent background by checking the "Transparent Background" box below. Leave the editor by clicking "Save". 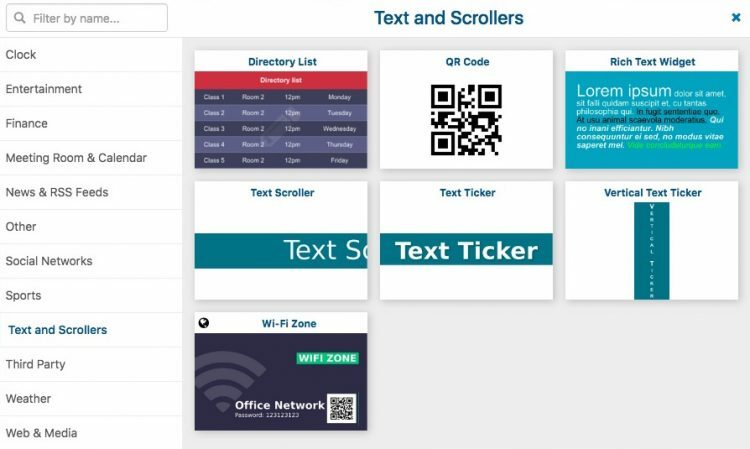 Now you just need to drag the App from your App catalog to the timeline when creating a campaign.